Digiatry Software, founded in 2006 is a leading software provider focusing on DVD/Video converting solutions, backups, and Apple products transfer management solutions. A recent launch of Digiatry is WinX MediaTrans, Windows-based file transfer tool. It aims at transferring photos, music, videos, ebooks, managing iPhone photos, ringtone as well as mounts iPhone as a flash drive. All iPhone users will agree that iPhone data transfer is not a simple process when compared to an Android devices. 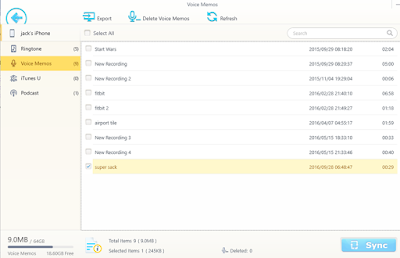 This is where WinX comes to the rescue, let us have a closer look at its features and decide on if WinX MediaTrans is the right software for all your iPhone needs. 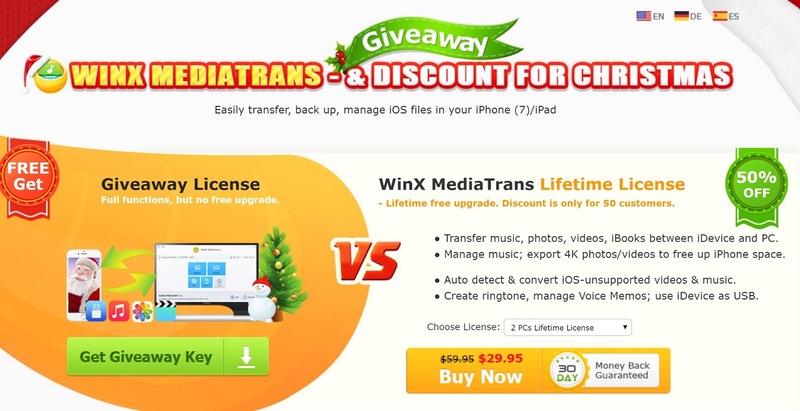 WinX is also hosting WinX MediaTrans giveaway where you can grab a free license! The essential feature that we crave for in our phones is photo transfer. In this digital world of sharing on social media, a simple feature of photos transfer gives purpose to the phone’s camera. 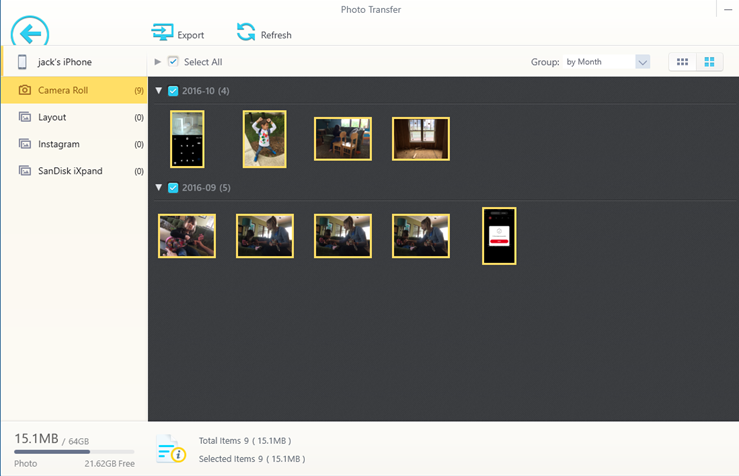 You can select one or a group of pictures and even get them in chronological order. Further, it lets you transfer photos from PC to camera which lacks in many such software. 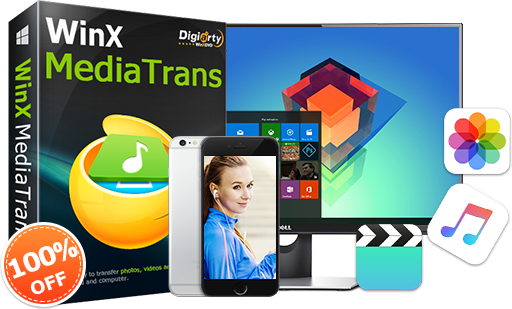 Like photo transfer, WinX MediaTrans also provides flexibility to transfer music from iPhone to PC and vice versa. 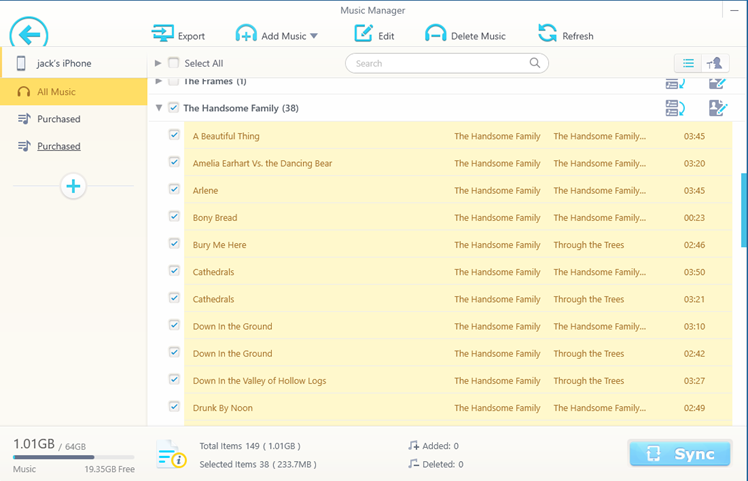 Not just music transfer, this software is also capable of editing a media’s meta information such as title, album artist. 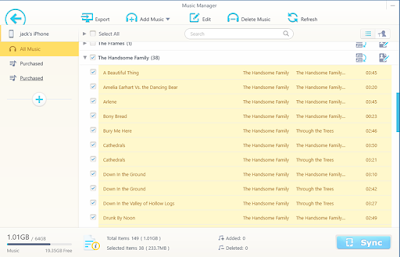 Along with this, it also has capabilities of converting one audio format into various others. Just as photo and audio transfer WinX MediaTrans can do similar with videos too. In addition to it, the software can convert unrecognizable formats to iPhone acceptable video formats and has capabilities of rotating videos from vertical to horizontal. 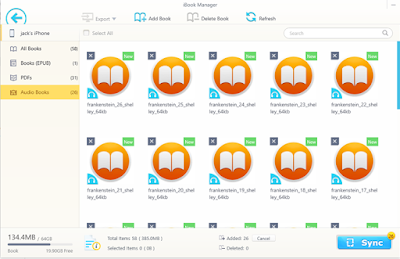 eBooks in formats of EPUB and PDF can be transferred to and from a connected PC or iOS device. Also, WinX MediaTrans can export EPUB to different formats of PDF, HTML, and TXT. iPhone is quite restricted when it comes to setting or making a custom ringtone. 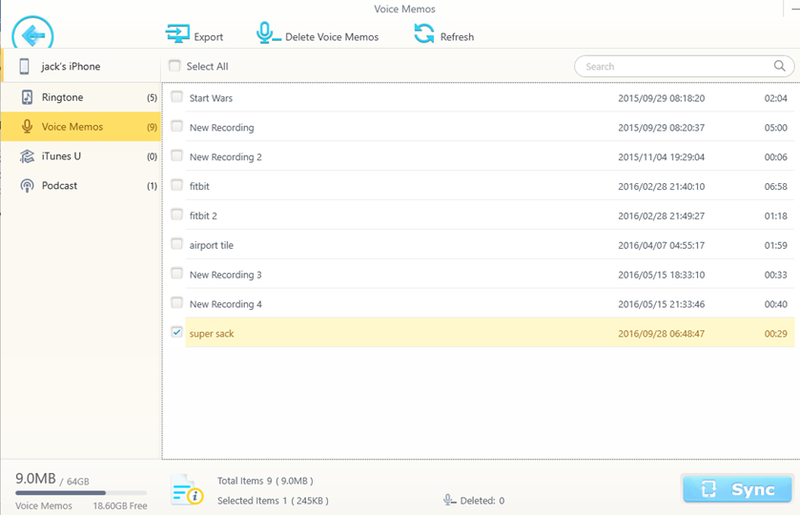 Hitting “Voice and Ringtone” button will allow you to make custom ringtones, transfer voice memos, iTunes, U and podcast to and from Apple devices and PC. 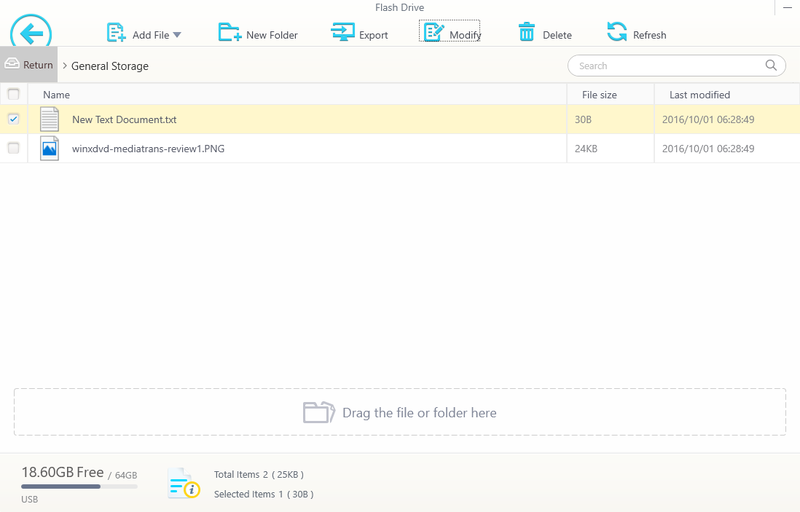 “Flash Drive” feature is very useful as it converts iPhone to flash drive. This feature can be used with freely available software. 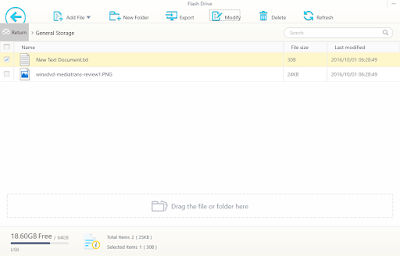 This feature lets you import all kinds of files and use iPhone as a storage device. Transfer speed is very crucial when it comes to choosing a file transfer software. On using the program, we found it to be amongst few fastest file transfer software. It only took us 8 seconds to transfer 100 pictures of 4K resolution. This tool promises to be stable, i.e., it involves in no kind of crash in the process of transfer. 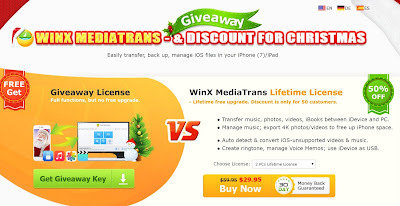 As the X’mas is here, WinX is hosting a giveaway for iPhone fans to get the license of Winx MediaTrans and help them easily manage and transfer video, music, photo, etc. With an online technical support and help guide, WinX MediaTrans could be a viable choice when selecting a file transfer program for Apple devices. Though features of contact and notes transfer is still a void in this software it promises to encompass them in the near future.